“A little slice of HEAVEN!…MASSAGE PARADISE!” – Stacy C.
“This place is Awesome!!! 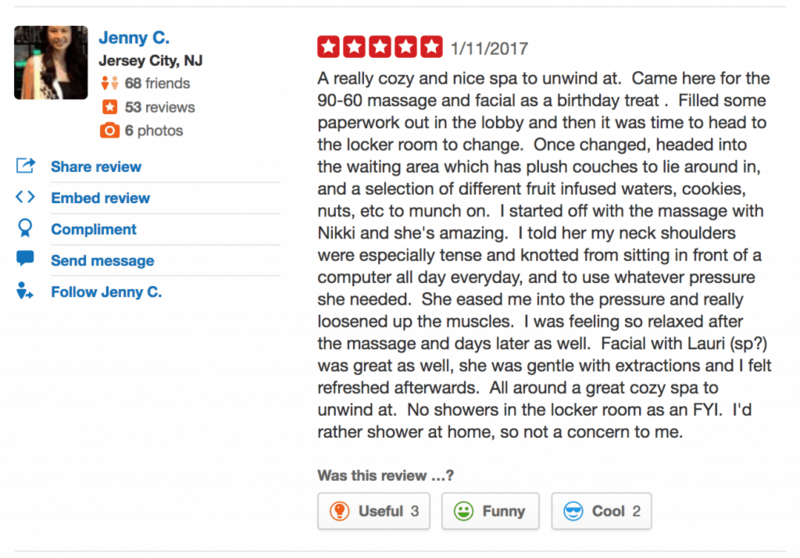 !” – Paul G.
“A great cozy spa to unwind at.” – Jenny C.
“One of my favorite places” – Victoria S.
“JUST what I needed!” – Marsha C.
“It was wonderful. I felt like jelly.” – Ruthie A. “Went for a facial yesterday and it was spectacular. 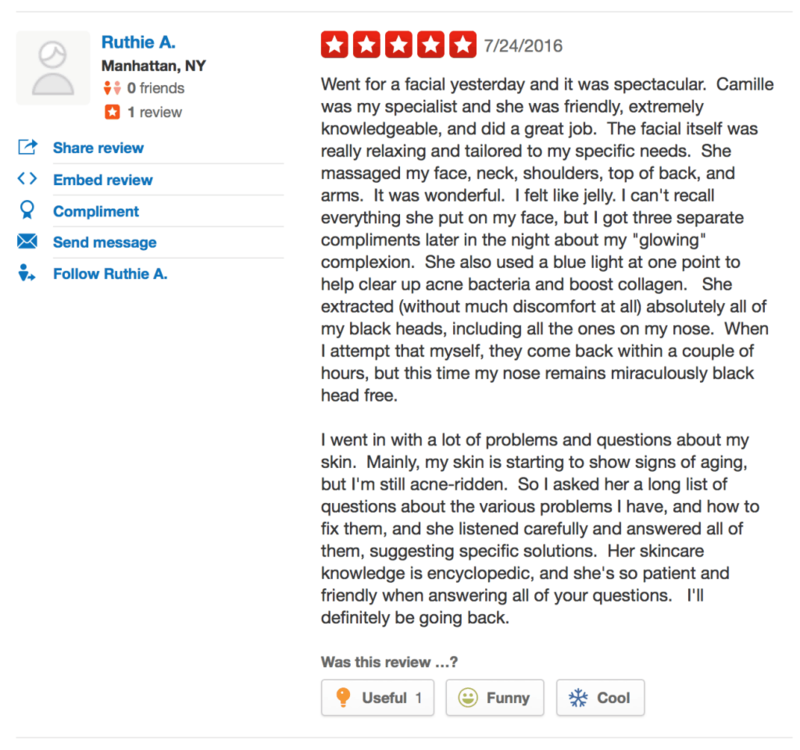 Camille was my specialist and she was friendly, extremely knowledgeable, and did a great job. The facial itself was really relaxing and tailored to my specific needs. She massaged my face, neck, shoulders, top of back, and arms. It was wonderful. I felt like jelly. I can’t recall everything she put on my face, but I got three separate compliments later in the night about my “glowing” complexion. She also used a blue light at one point to help clear up acne bacteria and boost collagen. She extracted (without much discomfort at all) absolutely all of my black heads, including all the ones on my nose. When I attempt that myself, they come back within a couple of hours, but this time my nose remains miraculously black head free. “My skin has never felt better!” – Juliana B. 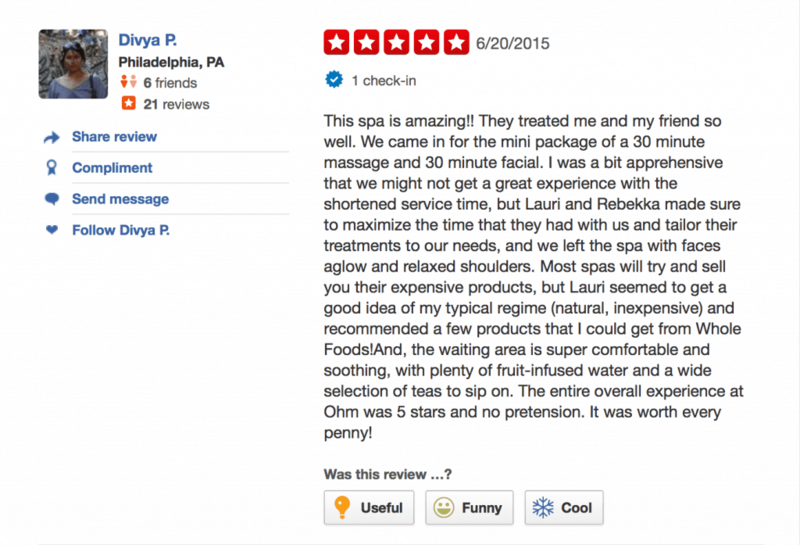 “This place is lovely and they have the most talented esthetician, Anastasia. She’s been doing my facials for months now and I no longer need or use any dermatology prescribed products. My skin has never felt better!” – Juliana B. 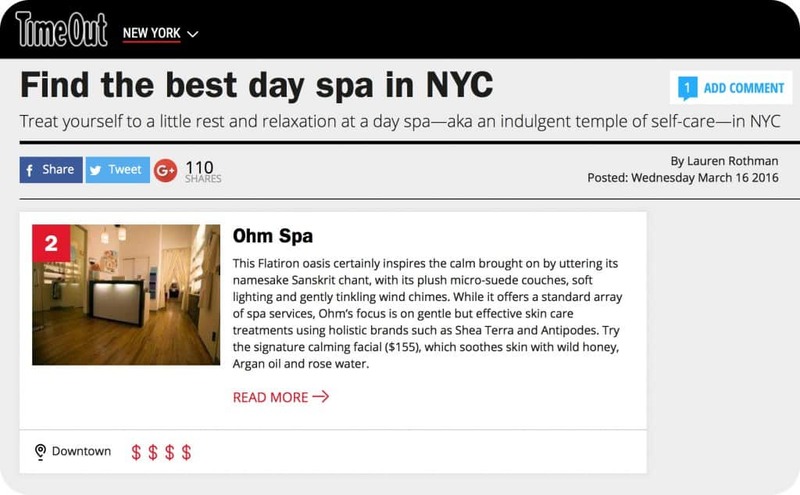 Time Out New York’s annual list of best spas in NYC for 2016 is out and we’re thrilled to be included again! 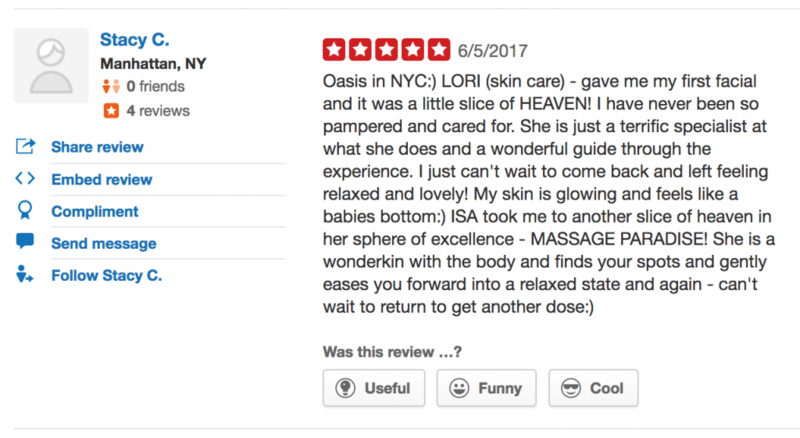 They specifically mentioned Ohm Spa’s “gentle but effective skin care treatments” but Ohm Spa also offers some of the best massages, body scrubs, waxing and spa packages in New York. 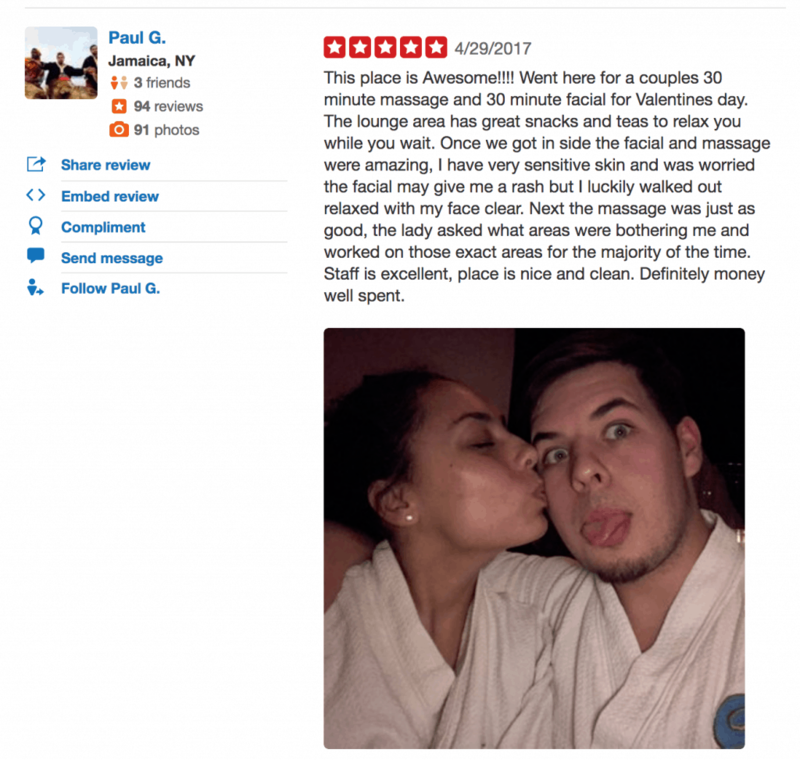 For over 10 years, Ohm Spa has been a top destination in New York for those seeking the most therapeutic spa treatments in a luxurious, relaxing and welcoming environment. 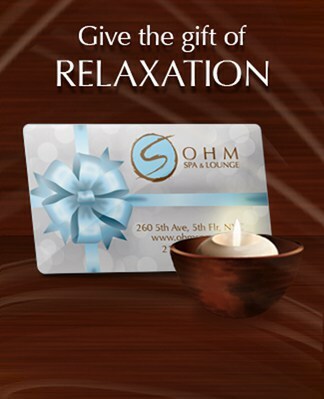 Whether for yourself, your significant other, a group gathering or as a gift for a loved one, Ohm Spa & Lounge is the ideal venue for your next spa day! Thank you to TimeOut New York! See the full article here. 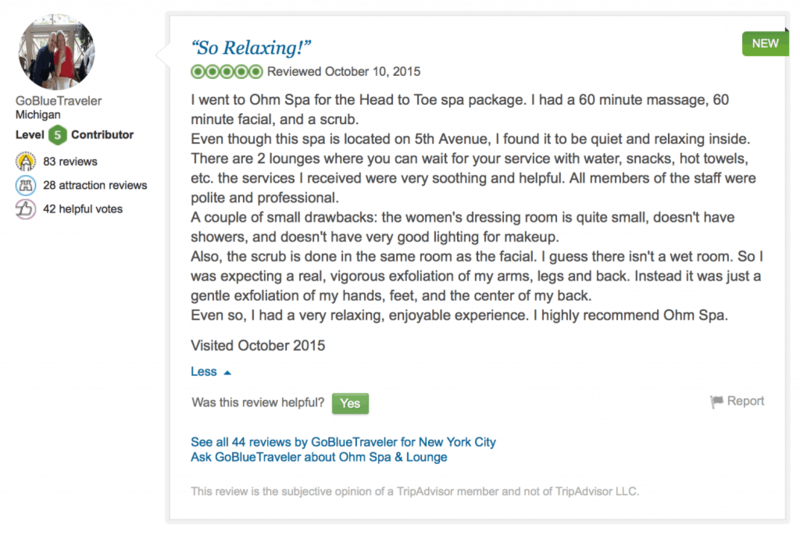 Thanks for the great review GoBlueTraveler! 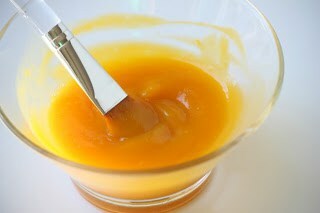 10% Off Pumpkin Enzyme Facial! Autumn is the time to show your skin some love! Your complexion changes with the rhythm of the seasons, so we need to prepare our skin for the trials of winter. Reserve your appointment for the Ohm Spa Pumpkin Enzyme Facial – utilizing fresh, organic pumpkin that exfoliates, softens and evens out skin tone. If your goal is to unclog pores, reduce hyperpigmentation and improve skin texture and hydration, then this facial is a must. Our talented and experienced skin care experts will guide you on the road to clear, beautiful skin! Simply mention “Pumpkin Promo” upon booking your appointment to receive 10% off your facial (normally $169). This promo is good until Thanksgiving Day (Thursday, Nov 26, 2015). Cannot be combined with any other discounts, packages or promotions. 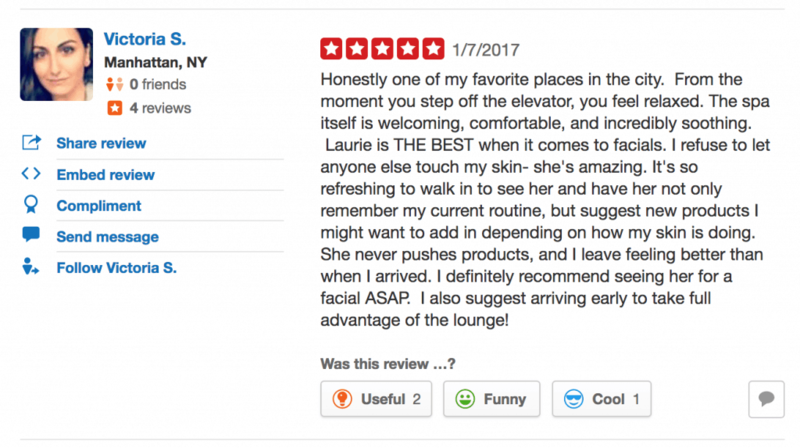 Thank you for the lovely review Jackie! 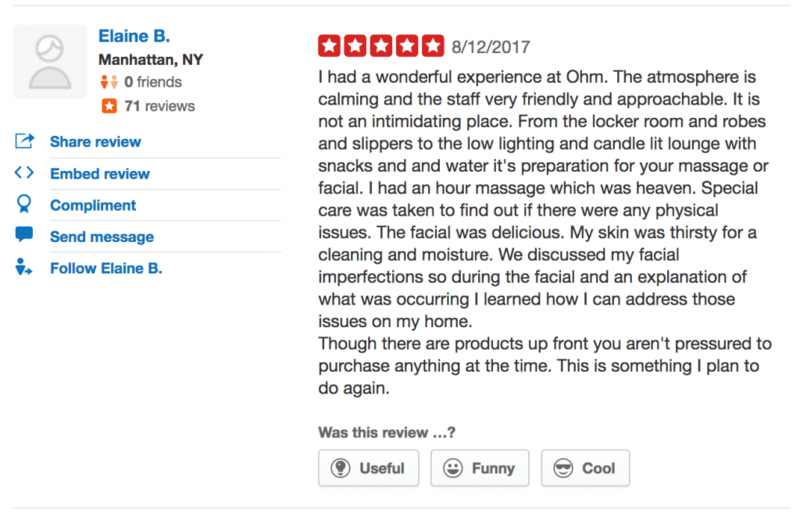 If you’ve never been to Ohm Spa & Lounge or if you’ve never had a professional facial with a skincare expert before, you don’t know what you’re missing! At Ohm Spa, we take skincare very seriously and treat each client’s skincare concerns on an individual basis. Unlike mass market brands, we understand that every person’s skin and situation is unique and there is no such thing as one-size-fits-all when it comes to a skincare protocol. Our skincare experts have years of training and experience and have had success treating a wide range of skincare issues. Our goal is to show you the way to clear, smooth, healthy skin you can be proud of, in a natural holistic way. 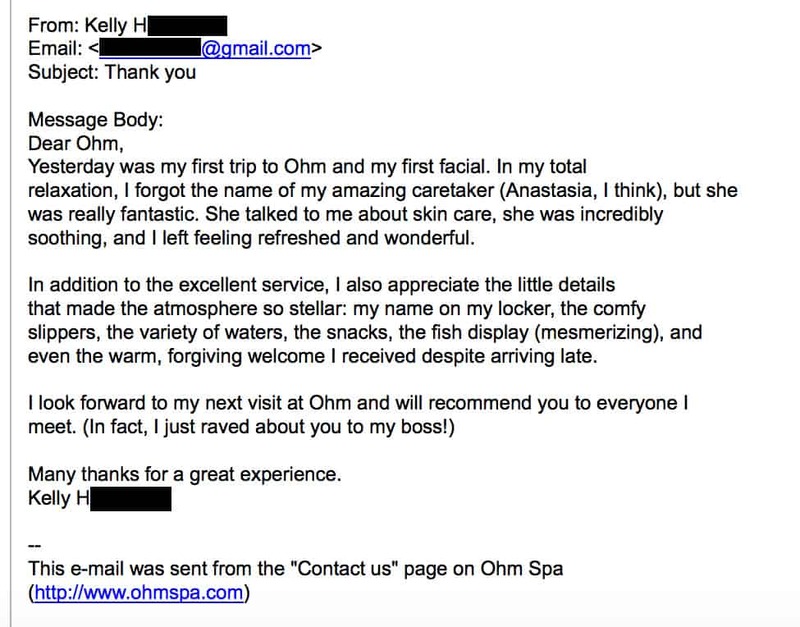 Thanks so much to Kelly for choosing Ohm Spa & Lounge for your first ever facial! We’re so glad you enjoyed your experience and for sharing your feedback! Anastasia and the rest of the team here truly enjoyed having you over and look forward to seeing you again soon!